Add a little romance to your special occasion. 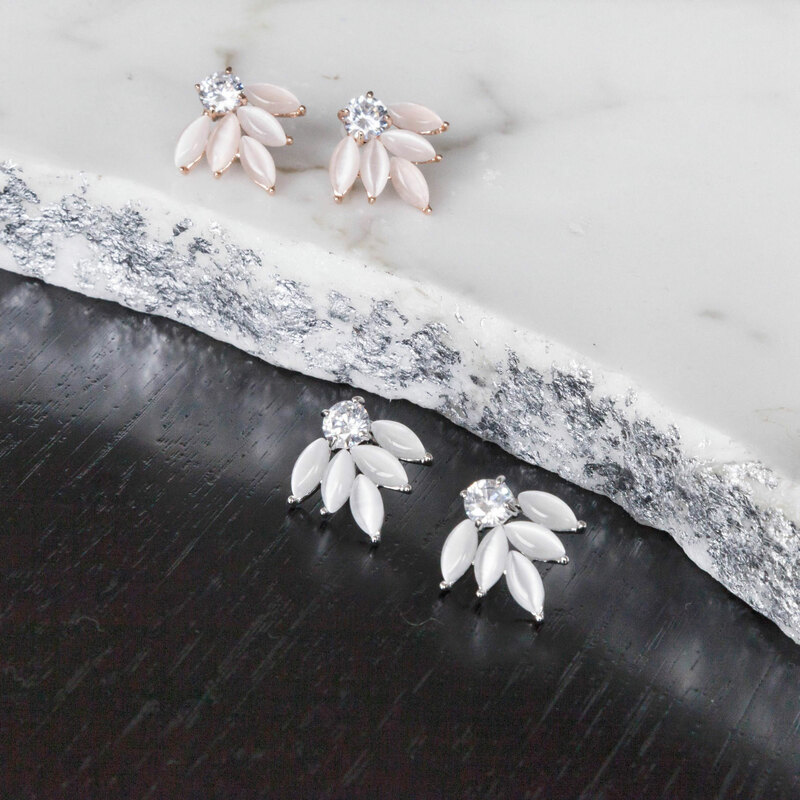 Elegant, beautiful and timeless, the Willow earrings add a touch of romance to a special evening out, celebration, or wedding day. These stunning flower shaped studs are handmade from cats-eye crystals with clear cubic zirconia in the centre on a rose gold-toned base for pierced ears. 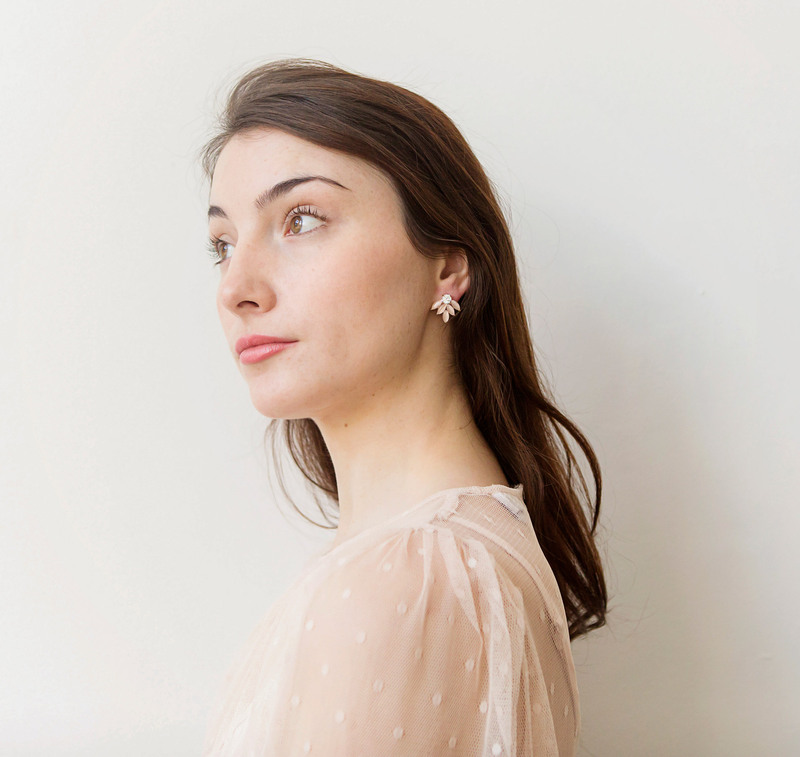 The Willow earrings will instantly transform the look of a simple dress or top. 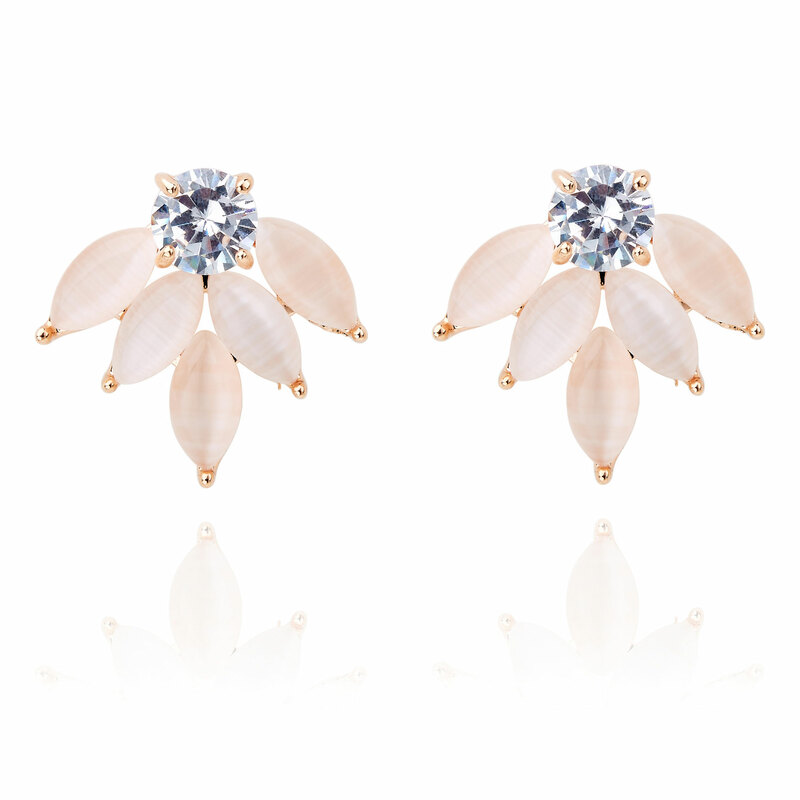 With these exquisite earrings in your collection, you’re ready to dress for any occasion from day to night. 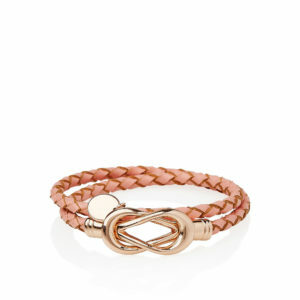 Material – nickel-free alloys with rose gold plating, catseye crystals and cubic zirconia.